To make the perfect cocktail, you’ll not only need the right liquor, but the right tools. The Bar10der 10-in-1 Bartending Tool has all the essentials to make that great drink, just like a professional. This nifty gadget includes a bottle opener, muddler, stirrer, reamer, zester, channel knife, jigger, knife, strainer, and corkscrew. 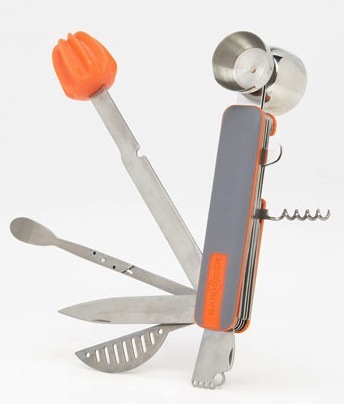 This is like a swiss army knife for bartending. Also comes with a handy cocktail guide.